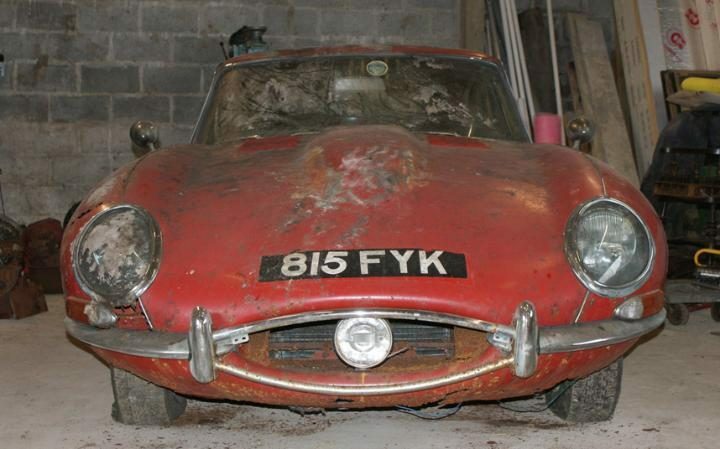 A 1963 Series 1 E-type has sold for £57,900 ($82,300) at a Coys auction, despite requiring a full restoration. A Jaguar E-type found under a hedge in the village of Bisley in Surrey sold at auction yesterday evening for £57,900 including commission. Although it was sold without a reserve price, the spiralling values of E-types meant that this 1963 example with only 44,870 miles on the clock was highly sought-after – despite requiring extensive restoration. It still has the last tax disc on its screen, which expired in November 1969. The early Series 1, 3.8-litre car is finished in Carmen Red with a tan interior. It is one of 1,799 right-hand-drive, fixed-head coupes built. With an inline six-cylinder engine developing 265bhp, the car was capable of a top speed of 150mph and 0-60mph in less than 7 seconds. Barn finds are always interesting as a news story, but as an investment, there are various pitfalls. A 1950s competition Ferrari found in this condition would be big news as well as great windfall. Remember the old Tommy Sopwith 250 GTO that languished in an Ohio farm field or the 340/375 MM Vignale Spyder buried in a trailer for 4 decades? A Series I E-Type might be less of a sure thing and while it has some racing history, it is not significant. 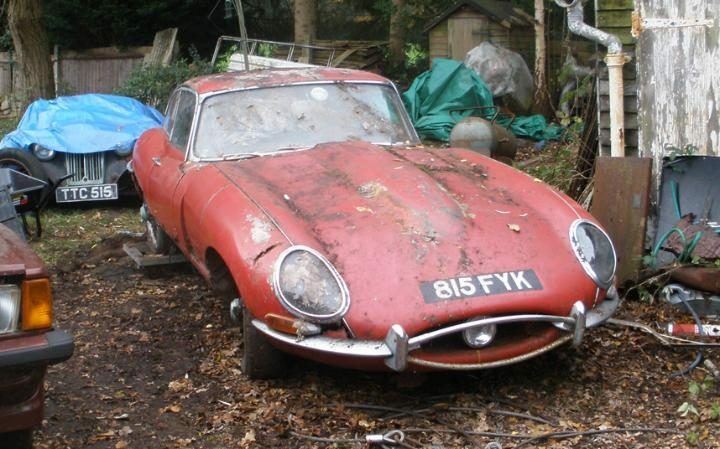 E-Types are complex and expensive to restore and this one appears to need much work.